Since August 2016, we closed a new partnership with CalemEam for Colombia, the top industrial maintenance open source software in the market. 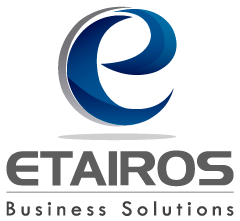 With this partnership Etairos Business Solutions strengthens its strategy of open source solutions for the small and middle companies in the region. For CalemEAM is also a great step, due to the fact that this is the first entry of its product in Latinamerica. CalemEAM is a resources management commercial software and business open source resources software. It comes in a commercial version based on rates. The company still offers a free version of the community, leaving it with a recommendation of the 65 percent of the SourceForge’s recommendation starting from January 2013. The CalemEAM open source project began in SourceForge on May 3rd of 2007, followed by a beta version 1.0.1 of the software a few days later. In October 2007, the back up company CalemEAM Inc offered two paid commercial versions of the software free of open source: a professional and an Enterprise Edition. On the same month the first stable version of the free edition of the community was released as version 2.0.1.